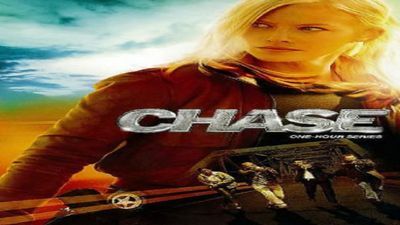 Here's where to watch every episode of Chase season 1. Mouseover or tap an episode to see where to stream it. Click or tap the play icon to stream it on the best available service. Pilot Sep 20, 2010 A team of U.S. marshals led by Annie Frost searches for dangerous fugitive Mason Boyle. Repo Sep 27, 2010 When a state trooper's son is murdered, Annie's team must track down a fugitive, who is determined to reclaim what he thinks is rightfully his. The Comeback Kid Oct 4, 2010 A former mobster emerges from hiding after 17 years and goes on a killing spree to try to relive his glory days in the mob. Paranoia Oct 11, 2010 A fugitive (Jennifer Morrison) takes her young daughter with her on a killing spree across Texas; the U.S. Marshals discover a shocking twist. Above the Law Oct 18, 2010 A white-collar fugitive turns violent in an attempt to escape; sparks fly between Annie and a bounty hunter (Eddie Cibrian); Jimmy and Luke start to bond. Havoc Oct 25, 2010 Annie is injured pursuing a fugitive using explosives to get revenge and is forced to rely on Ben Crowley (Eddie Cibrian); Annie's absence forces Luke to step up to the plate. 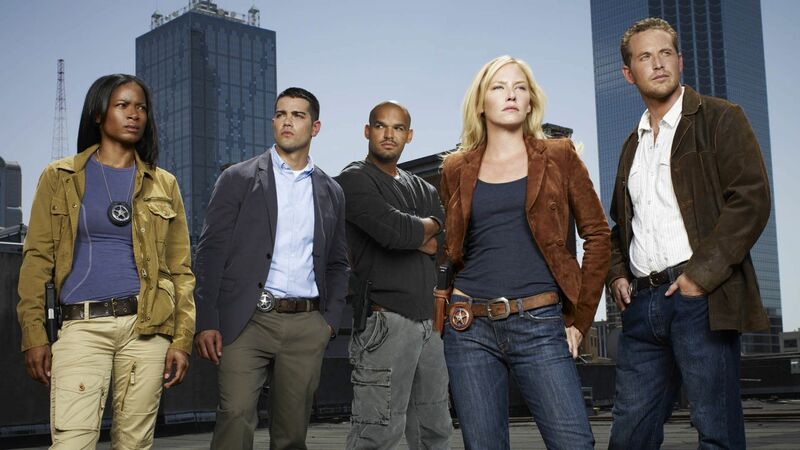 The Posse Nov 8, 2010 A U.S. marshal impersonator kills people in a misguided attempt to capture fugitives; Luke gets a surprise visitor who threatens his relationship with the team. The Longest Night Nov 15, 2010 A serial killer escapes prison and U.S. Marshal Annie Frost must rely on jailed fugitive Mason Boyle for answers. The case takes a twist when the U.S. Marshal team discovers that the fugitive's ultimate victim is not who she appears to be. Crazy Love Nov 22, 2010 Jackson Cooper is a fugitive with a dark past who manipulates his teenage girlfriend with promises of freedom from her father and a life filled with romance and adventure. When his deadly rapsheet is revealed, Jackson flees with his underage victim, destroying anything and anyone that comes in his way. U.S. Marshal Annie Frost must confront her own family history to gain the trust of Jackson's girlfriend, in order to track them down before it is too late. Under the Radar Nov 29, 2010 U.S. Marshals Annie Frost and Daisy Ogbaa team up to catch small-town fugitives Karen Nelson and Ivy Collins, a duo who use their feminine wiles to lure innocent victims into participating in bank heists. Annie and Daisy become closer while working to break the fugitives' twisted , co-dependent bond before they continue down a self-destructive road. Betrayed Dec 6, 2010 U.S. Marshals Annie Frost and Luke Watson pursue fugitive Chris Novack, who takes the city of Houston hostage after escaping from the county courthouse, in violent pursuit of his best friend and girlfriend who have betrayed him. Meanwhile, the day's events allow Luke to understand his place in the force and Jimmy Godfrey looks at girlfriend, Natalie, in a new light. Narco (1) Jan 19, 2011 A drug distributor's wife kills the lead witness in her husband's case in an effort to keep her family together; Marco remembers his dark days with the narcotics division; Jimmy is forced to make a decision about his relationship. Narco (2) Jan 26, 2011 U.S. Marshal Annie Frost's life remains in the hands of a dangerous drug cartel looking for retribution. While in captivity, Annie befriends another hostage and vows to return him home to the U.S. Back in the office, the rest of the Team devises a strategy to rescue Annie, but Jimmy and Marco's plan causes controversy with Luke, who disagrees with their rogue operation. Father Figure Apr 23, 2011 A corrupt cop preys on single mothers in hope of getting close to their young daughters; an internal investigation could indict Marco and Jimmy. Seven Years Apr 30, 2011 The marshals search for a fugitive who is desperately searching for proof of his own innocence; a hidden vice lands Daisy in trouble. Roundup May 7, 2011 The U.S. Marshalls compete in an annual contest to clear the most backlogged warrants. Annie and Jimmy get into a risky situation when they go after a dangerous criminal. Meanwhile, Daisy confronts a man who harmed her in the past. She jeopardizes more than just her career to bring the man to justice. The Man at the Altar May 14, 2011 The U.S. Marshal team enlists the help of bounty hunter Ben Crowley to apprehend a dangerous criminal who has evaded arrest due to the protection of his loyal friends and family. Meanwhile, Annie experiences sleepless nights filled with strange dreams that include Ben, Jimmy and a dark premonition from her father. Annie May 21, 2011 U.S. Marshal Annie Frost must share the details of her past with the team in order to pursue a case that has put her father's life in danger. On a hunt to locate her father after two decades, Annie experiences flashbacks to her childhood, ultimately discovering the secret behind a lifelong betrayal.